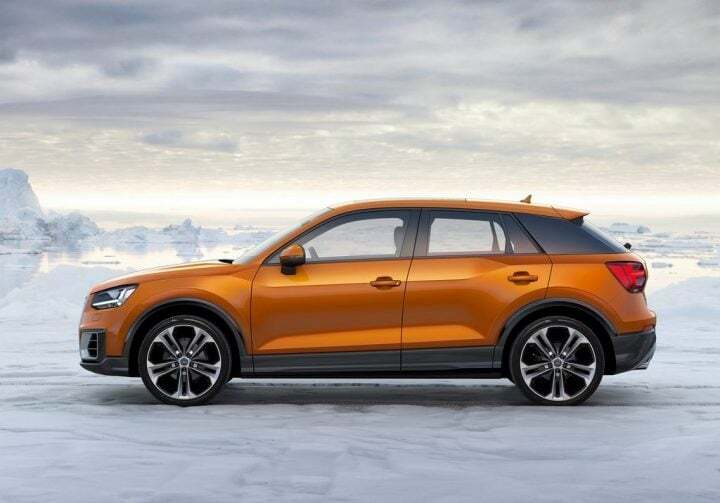 Speculations are rife that Audi India is prepping up to launch the Q2 crossover-SUV in India. There are good chances that the new Audi Q2 India debut would take place at the Auto Expo 2018. Subsequently, the smallest model in the company’s Q range will launch in India by the end of 2018. Prices of the cheapest Audi SUV are likely to start around Rs 25 lakh (ex-showroom). It will be positioned just below the A3 sedan and is likely to feature a 1.4 L Petrol and a 2.0 L Diesel. Internationally, the Q2 has been on sale with many engine options. In India, however, chances are that only the aforementioned motors will be offered. Engine specifications will be largely similar to those of the A3 sedan. In most markets, the Q2 crossover also offers a 1.0-litre TFSI petrol engine that outputs a maximum power of 114 bhp. 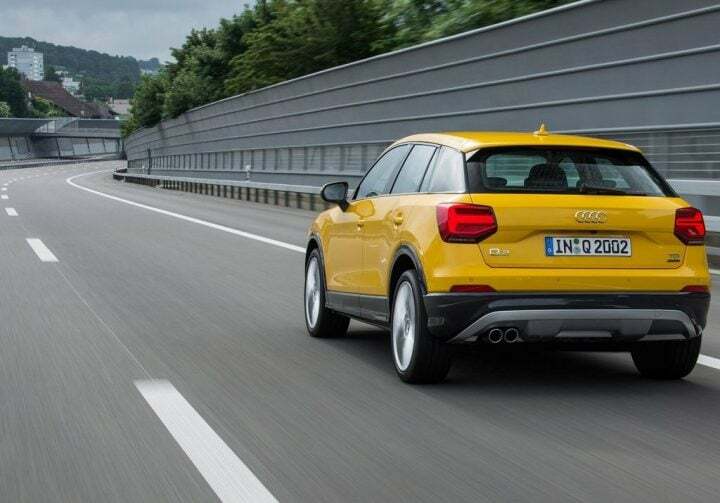 Audi India might want to bring this low-displacement engine with the Q2. The motor comes mated to a 7-speed DSG. There are enough chances of the Q2 making its India debut at the Auto Expo 2018. The company might want to launch the long-wheelbase version here. The launch date is likely to fall towards the end of next year. The launch of the Audi Q2 in India is probably more than a year away from us. Prices of the upcoming Audi crossover in India could start at roughly Rs 25.00 lakh. Of course, the base petrol variant will be the cheapest of all the models. THe top-end model, which will offer a Diesel engine and slightly more features, will cost around Rs 30.00 lakh. Internationally, the Audi Q2 is sold in three trims – SE, Sport and S Line. We’re expecting the new Audi Q2 to come to India with two engine options – 1.4 L Turbo Petrol and 2.0 L TDI Diesel. The 1.4 TFSI petrol recently made its India debut on the New Audi A4. This engine makes a maximum power of 150 PS and a peak torque of 250 Nm. Diesel model of the Q2 will get a 2.0 L unit, the same that already powers multiple Audi products in India. We’re not what state of tune the Q2’s diesel engine will be in. Our guess is that power will hover around the 140-150 bhp mark. The base diesel variant, like the Q3, could get a 6-speed manual transmission. Other trims will get a 7-speed S-Tronic automatic as standard. Additionally, the company might want to bring in the low-displacement 1.0-litre TFSI engine with this crossover. This low capacity engine outputs a maximum power of 114 bhp. It comes mated to a 7-speed DSG. While the Q2 will be the cheapest Audi crossover in India, it won’t lack on the features front. Here is a list of features that the new model will come with. The design of the upcoming Q2 SUV is based on Audi’s latest design language. It gets sharper cuts and creases. There is a new single-frame grille up front, which is more prominent in comparison to current Audi models in India. The new Q2’s headlamps are full LED and get LED daytime running lights as well. The side profile of the car features a very flattened out shoulder line, which is an interesting design touch. There’s a thick C-Pillar that comes in black lending the car a floating roof effect. The Audi Q2 looks more like a grown-up hatchback than an SUV. It features rectangular LED tail lamps. These are very different from the sleeker, narrower tail lamp design most modern Audis features. The rear bears a passing resemblance to Volkswagen products such as the Polo. The dashboard design of the India-bound Audi Q2 shares some similarities with the Audi A3’s design. It features similar circular AC vents and climate control setup. The ‘floating’ touchscreen is a characteristic Audi feature. There is a sporty flat bottom steering wheel here, behind which you will find Audi’s Virtual Cockpit setup. It might be the cheapest Audi, but the cabin is very well built with impressive levels of fit and finish. Despite being the smallest SUV in Audi’s lineup, the Q2 has decent seating space for 4 adults. The cabin also gets generous 405 litre boot. However, the rear bench feels a little cramped because of the sloping roof and the rising window line. That said, leg space is not an issue. There are decals on the dash that light up in different fluorescent shades. Sounds a bit tacky, to be quite honest. While we are yet to conduct a full Audi Q2 Test Drive Review here in India, here are some of its highlights based on reviews conducted by publications abroad. AutoExpress found the Q2 to be surprisingly spacious for its size. Its build quality and looks are some of the highlights of this small Audi SUV. TopGear UK says the Audi Q2 is definitely are crossover meant for city use. It performed decently over bumps and potholes, which should work in its favour in India. The driving position isn’t very SUV-like. Feels like driving a hatchback. Level of refinement is exceptional. Great interior quality as expected from an Audi. The touchscreen is not retractable. Boot space impressive at 405 L.
The Audi Q2 is fun to drive. The ride quality is impressive and the small SUV handles well. 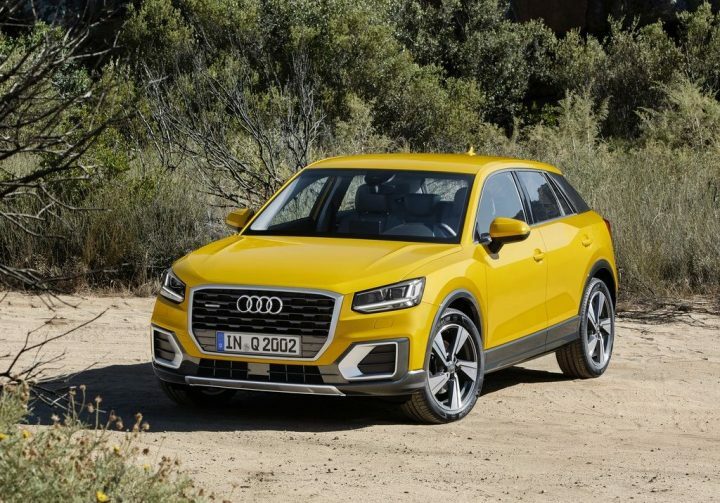 The upcoming Audi Q2 is a worthy alternative to entry-level luxury hatchbacks such as the Mercedes A-Class, BMW 1-Series and crossovers like the Mini Countryman. Stay tuned to Car Blog India for news updates on Audi Q2 India Launch Date, Price, Specifications. Also watch this space for a full Audi Q2 India Test Drive Review.